I SPECIALIZE IN WOMEN’S HEALTH, WEIGHT MANAGEMENT, ALLERGIES, AUTOIMMUNE DISEASES, DIGESTIVE DISORDERS, INFERTILITY, ENVIRONMENTAL ILLNESSES, COSMETIC ACUPUNCTURE AND BEAUTY FROM THE INSIDE OUT. I HELP PATIENTS IN SOUTH FLORIDA AND WORLDWIDE (VIA VIDEO CONFERENCE) & TAKE CONTROL OF THEIR HEALTH AND MAINTAIN THEIR OPTIMAL WELL-BEING THROUGH THE PRINCIPLES OF CHINESE AND INTEGRATIVE MEDICINE AND SO MUCH MORE. Get healthier skin without surgery or syringes. 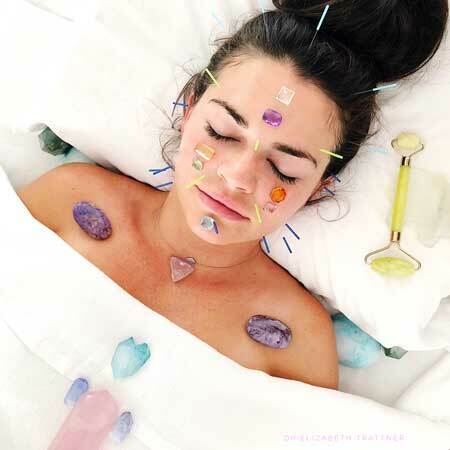 Acupuncture combined with GuaSha, gemstones and a few other secrets improves muscle tone, collagen, elastin, lifts and sculpts and reduces wrinkles for a more youthful glow. My goal is to help you achieve optimum health and wellness. Through personal experience and decades of patient care I have witnessed the transformational results that Chinese and Integrative medicine can bring. Your unique health care path is of the utmost importance to me. Together we can work toward your personal transformation to achieve the best and healthiest version of you.